now reading: A Turning Point for GM Crops in the EU? A Turning Point for GM Crops in the EU? It's not a big secret that many Europeans are afraid of new, cutting-edge technologies. Microbiologist Dr. Anne Glover, the very first EU Science Adviser, affirmed this -- although she expressed it in a rather more diplomatic way in an interview with the journal Science. However, there is reason for hope that things are about to change. 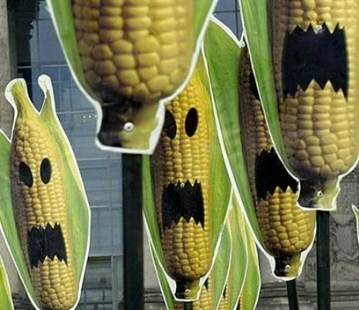 On Monday, the European Food Safety Authority struck down a French ban on a strain of genetically modified corn produced by Monsanto. Their reason? "There is no specific scientific evidence, in terms of risk to human and animal health or the environment" to support a ban. The molecular biology community welcomes Europe to the 21st Century.